Welcome home! This beautiful property is country living at its finest. 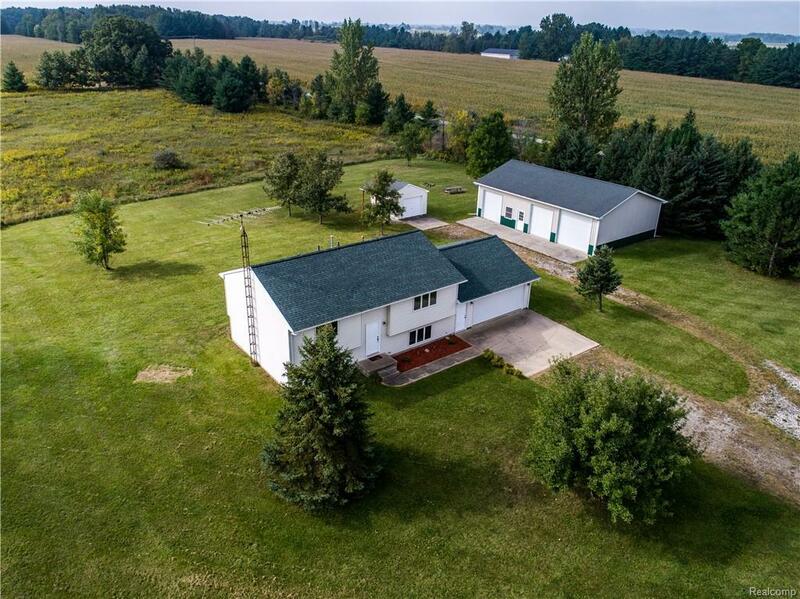 This 1,900 sq foot 4 bedroom, 2 bathroom home sits on 7.5 acres. Dining room just off the kitchen with a large sliding glass door and massive deck on the back of the home offering breath taking views.. MASSIVE POLE BARN!! 32x48 with electricity and cement floor. Along with an attached two car garage and a detached garage with cement floors and driveways! The home runs on natural gas rather than propane! Recently installed brand new 95% efficiency furnace! Seller spared no expense, this home and property is meticulously maintained. Schedule your showing today.